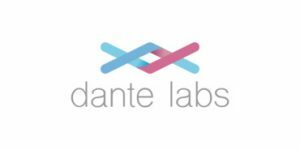 Dante Labs is a global NGS-based biotech company founded in 2016 with corporate offices in New York and Italy and partner genetic labs in the US, Europe, and Asia. The company offers multiple at-home DNA testing solutions and empowers its users with insights and knowledge about their genetic signatures so that they can start living healthier, longer, and happier lives. Keep reading this Dante Labs review to learn more about the company and its services. Placing an order – To get started with Dante Labs, first you need to place an order on the official website. When you pop the chosen test into your shopping cart, you can proceed to checkout where you will be prompted to provide certain customer information (email, first and last name, address, city, country, and postal code) and pick your payment method of choice (Dante Labs accepts Visa, MasterCard, Amex, JCB, PayPal, Bitpay, and others). Note that your billing address does not have to match the shipping address, which means you can also send the test(s) as a gift. Depending on your location, the testing kit should arrive in just 2-3 business days. Collecting the sample – Once your personal at-home testing kit arrives, simply follow the provided instructions to collect your saliva sample and keep it safe from any potential contaminants. Note that you also have to register your unique personal ID on the site in order for the staff to connect your sample with your account. Sending the sample back to the lab – Once your sample is safely stored inside the provided saliva tube, simply mail it back to the lab using the UPS pre-paid return shipping label. You will receive the label in an email after making a purchase. Inspecting the results – Around 50 business days after receiving your sample, the company will send you an email to inform you that your personal report has been generated. The company will also provide you with your raw DNA data, which you can use with other DNA companies that allow raw data import. Whole GenomeZ is an NGS (New Generation Sequencing) test with 130X coverage of the entire exome (part of the human genome that encodes proteins) and 30X coverage of the rest of the genome. It is a smart test that is as broad as WGS and as precise as WES. It has recently been expanded to include mtDNA (mitochondrial DNA). VCF data is also available with BAM and FASTQ is available upon request. This test is dedicated to providing you with full access to your genetic health, familial traits, and predispositions. The final reportfan covers medicine metabolism, the risk of cancer, heart and blood vessels, child development, fertility, digestive tract and liver, blood, neurology, pulmonology, infectious diseases, audiology, and much more. 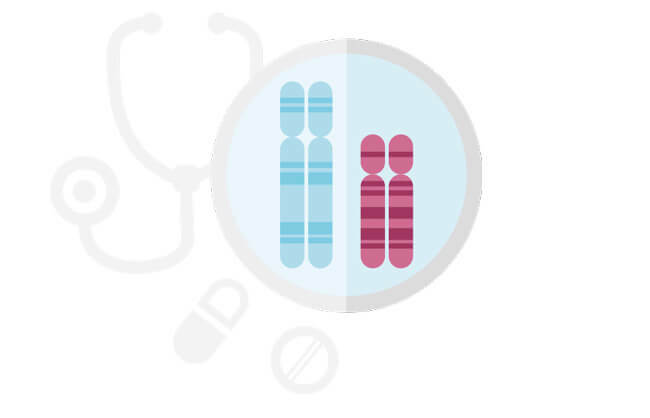 This testing option covers more than 80 personal genetic reports, including risks for 200+ genetic diseases, 30+ wellness traits, and reaction to more than 100 medications. The test examines 650,000 SNPs and the usual turnaround time is just 3 weeks. Information received when you use its services, including web-behavior data obtained through cookies and similar tracking technologies. Information shared by you directly, including self-reported and registration information as well as user-created content on the company’s forums and blogs. Information from DNA testing. In order to receive a Dante Labs report, the company’s technicians have to extract your DNA from your saliva sample, which grants them access to your genetic signature. The company uses the collected data to provide you with its services, analyze and improve its offer, and perform research (only with your explicit consent). You can choose whether to store or discard your saliva sample and personal reports once they have been generated. You can also delete your Dane Labs account and data at all times. Dante Labs may only share your personal data with its sequencing laboratories and research collaborators if you give them your consent. It will never share your information with any public databases, employers, insurance companies, and other entities, including regulatory authorities and law enforcement unless required to do so by law or a valid search warrant, subpoena or court order. As we already mentioned in this Dante Labs review, your personal at-home testing kit should arrive 2-3 business days after the company receives your order. Dante Labs is one of the rare direct-to-customer testing providers that offer free shipping anywhere in the world. Dante Labs tests also come with a 30-day money-back guarantee, but the company will process a refund up to 30 days after purchase ONLY if your sample has not yet reached the lab. Otherwise, the company will charge a 25.00£ (≈29€≈33$) cancellation fee and 10.00£ (≈12€≈13$) for shipping and handling. Dante Labs offers good direct-to-customer DNA testing services that can be compared to some of the top names on the market. However, its marketing approach is definitely a bit over the top. 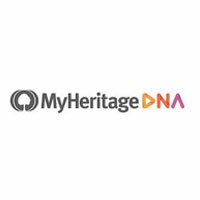 It offers a decent variety of DNA testing options and should be able to meet your DNA testing needs – unless you are looking for ancestry DNA testing. The fact that it has corporate offices in Europe and the US is definitely an advantage that makes its testing kits available on both continents. Bottom line, Dante Labs is a solid company that will definitely deliver on the scientific promises made on its website and provide you with some interesting and potentially life-saving insights into your own genetic makeup. Our ratings are the result of an objective and independent evaluation of Dante Labs , generating the final rating that reflects the overall quality of the company. Ratings may change as the service changes. Dante Labs user rating based on 3 user reviews. the returned VCF is incomplete. No answer to a request for the BAM file. they appear to be doing genotype tests and passing them off as full WGS. Only reason these sites give good reviews is they got free tests and get paid when you click the links. Great service and a veeeery detailed report but the waiting time is way too long. Pretty interesting concept and the free shipping was definitely spot on but some of the snps I had in my 23andme report were not here. We found 0 verified Dante Labs discounts for April, 2019.